Heading to the Edinburgh Festival Fringe, but got no cash due to recession/David Cameron/muggers/you eat money? Don’t worry, there’s plenty of free comedy shows at the Fringe, and here’s our pick of the bunch. I’ve seen three full previews of Adam Larter’s Fringe show in London now, and each one has been a wonderfully unique experience of real imagination that proves impossible to replicate fully. A proper live comedy experience of interaction, music, props, kilts and chaos. Two comedians that have more awards between them than Adele (well, I hope they do anyway – they’re a lot funnier. I don’t know what Adele’s doing entering comedy awards). Cahill, one of comedy’s rising stars, mixes acute thoughts on contemporary life with perfect absurdity, while Shishodia brings to mind Harry Hill with far-fetched ideas and instant likability. Six improvisers, including Best Newcomer nominee Cariad Lloyd and Rachel Parris, create an entirely original (and probably quite amusing) Jane Austen-inspired story in one hour. It’s had quite the acclaim in London, but you can now catch it for free in Edinburgh. Chortle Student Comedian of the Year 2011, BBC New Comedy Award 2011 Semi Finalist and one of our favourite Tweeters Adam Hess teams up with Sean Mcloughlin, who was marvellous at one of Laugh Out London’s live shows last year, to do some of that traditional standing up and telling jokes stuff. Billed as cabaret, but expect some wry smiles and a guffaw or too at this show from Laugh out London’s favourite musical satirists (as in they are satirists who play music, not satirisers of Grease). They’re at two venues too, so don’t miss out. Another multi-award winner/runner-up who’s rising up the UK comedy ranks, based mainly on original, thoughtful ideas told in a manner that can win over both a Friday night in central London and the more discerning comedy crowd. A nice story about seals too that should hopefully brighten your day. Relative newcomer Kemsley has already made her mark on the comedy world, picking up the Funny’s Funny award in 2011, while Callaghan is no stranger to awards herself, being a Funny Women finalist. One’s uncool, one’s angry. Both are trying to change. Both are funny. They’re not trying to change that bit. A multi-character comedy with only one actor. Hodgson is one of the brightest talents on the sketch/character comedy circuit, and this should be one of the more fascinating insights into a performer’s personality at this year’s Fringe. Pattie just wants to make some friends. Be nice and head along. It definitely won’t be creepy. There will be some cats though. Maybe some charts and pictures too. And woolen clothes. 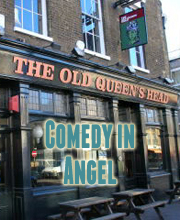 Fun, elaborate character comedy from Amy Callaghan – one half of Christmas For Two. Thomas Hardie Presents: Where’s Thomas Hardie? More characters and sketches from the female duo (although only one may be in attendance this year). It promises to be joyful and “full of mystery and suspense”. I doubt you’ll be disappointed. Unless you enjoy not laughing. Then you’ll be disappointed. But you deserve to be, you miserable man. 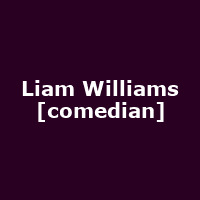 Liam Williams is 33.333˚% of the wonderful sketch troop Sheeps, and an outstanding comic in his own right (So You Think You’re Funny Runner Up 2010). He’s joined by Ivo Graham who won SYTYF in 2009. A perfect way to start an Edinburgh Fringe Day if you like good comedy from nice people. A show with a prop based comic (Brice) and another one with slides may not be that unusual a sight in Edinburgh, but it is the intelligence in which they use these items that leads to an experience which is brilliantly refreshing and funny. No clichéd observations, just joyful nonsense. Matt Highton is a surreal wonder, who had one of our favourite shows at last year’s Fringe. Jokes take twists and turns that you not only can’t see coming but you wouldn’t think were possible. Immensely likable, and with lovely hair, he is a delight that should not be missed. It’s rare that you can see a So You Think You’re Funny and Raw comedy winner for free so make use of it. Nick Sun is no orthodox comic, but his manic style combined with his joke writing combine beautifully. He is not for everyone, but that’s the point. Describing a comic as “absurdist” and “whimsical” often comes across as patronising, as if they lack the skill to write jokes. Well, very few comics could write a joke about a lion swallowing a trumpet as wonderfully as Phil O’Shea can. One of our favourite acts on the circuit, we are pretty damn excited to see this, and so should you be. Stu‘s exquisite ability to brilliantly make himself the centre of attention reels you into a rather manic hour. It’s a nicely balanced mix of well-structured material and reaction to his audience (even getting them up on stage) making you feel like you’re part of the show. I find it genuinely hard to describe Matthew Kelly: an American artist and minor celebrity with Marge Simpson Hair who is prone to getting a trombone out during his shows. It’s probably the most absurd, stupid, silly, bizarre and amazingly funny experience at the Fringe. During his half hour last year my friend was almost physically sick with laughter, and I had cried all the water out my body. You really need to see this… seriously. David Hannant, Anna Freyberg and Chris Boyd are all genuinely funny and complement each other well (and probably compliment too – they’re all very nice). This will be one of the better showcase shows you will encounter, and it’ll probably be better than most of the ones you have to pay to get in. A lovely way to spend your early afternoon. ‘Good on paper’ looks good on paper but is better seeing it in the flesh. I was rather blown away with Sam’s preview which I caught it about five months ago. It’s packed with silly songs, drawing and magic tricks, and is full of clever ideas. I’m still giggling when I think about it now. 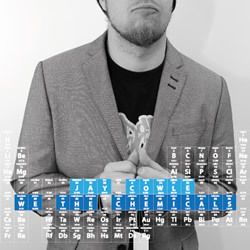 Jay brings intelligent stand up about love, drugs, the universe, cats and red wine to the fringe this year. Well-crafted jokes and a laid back delivery make this a highly enjoyable forty minutes and highlights Jay’s potential.